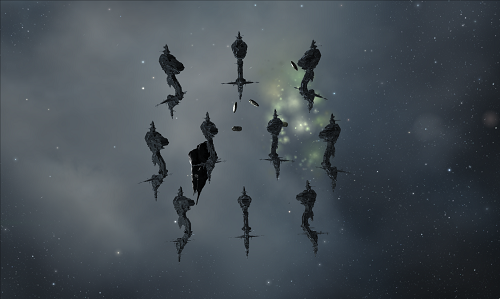 10 Stations arranged in a pattern all roughly 35-40km from warp in. No hostiles. At about 10km from each station you get another communication of whether there is anything of interest. You can Attack one group at the time. Soloable in a Tengu without any problem. There is heavy incoming DPS from the Battleships which the Tengu speed tanks extremely well. If you are in a battleship make sure you have a heavy tank. No blitz - mission is marked complete upon the destruction of the last ship.